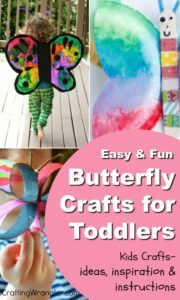 These butterfly crafts for toddlers are some of the most fun ideas I know of with small children. Not only do these fun kids crafts keep them totally engaged, but they a blast to share. 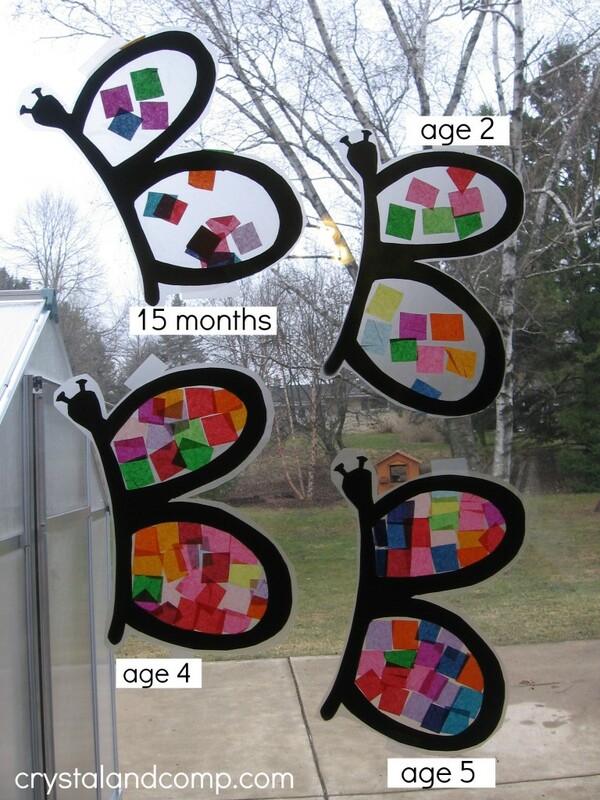 It must be the beautiful Spring weather that has me thinking about this butterfly crafts for toddlers. Of course, it doesn’t have to be 68 degrees and sunny to create these colorful kids crafts. Toddlers and pre-schoolers an enchanted with butterflies all year round. The thing that strikes me about all these craft ideas I’ve rounded up is the wonderful colors. There is a mix of mediums used in these projects, from markers to pants to washi tape. There’s also a lot of room for creativity in only the way a toddler can deliver. And speaking of toddlers. all of these butterfly crafts are simple to create. Although, a little help from Mom (or Dad) will make the processes go a little better. 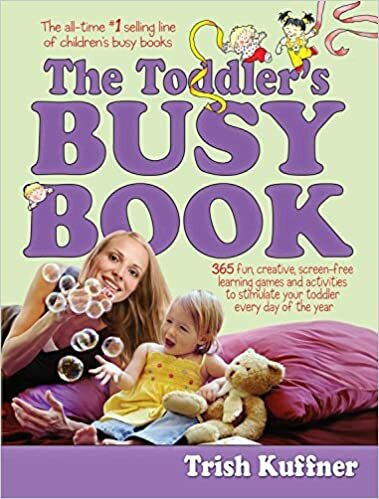 So, are you ready to start creating with your two and three-year-olds? Good! 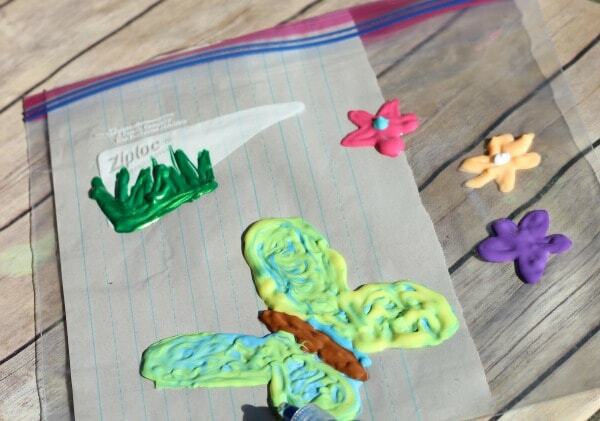 With a little help from Mom (or Dad), toddlers can make some adorable butterflies. Paint blend together on paper plates for the wings while a popsicle sticks get colorful some fun washi tapes. And glue puts it all together. This may be one of the few times you won’t mind handing a marker over to your toddler and saying, “go for it!” That is, as long as you make sure it a coffee filter they’re marking up. Then get ready to fill up house up with this colorful almost-flying creatures. There are so many kids crafts that you can create with toilet paper rolls. Including butterflies. That’s why you will find two variations here. This uses cut TP rolls glued together to create the butterflies. 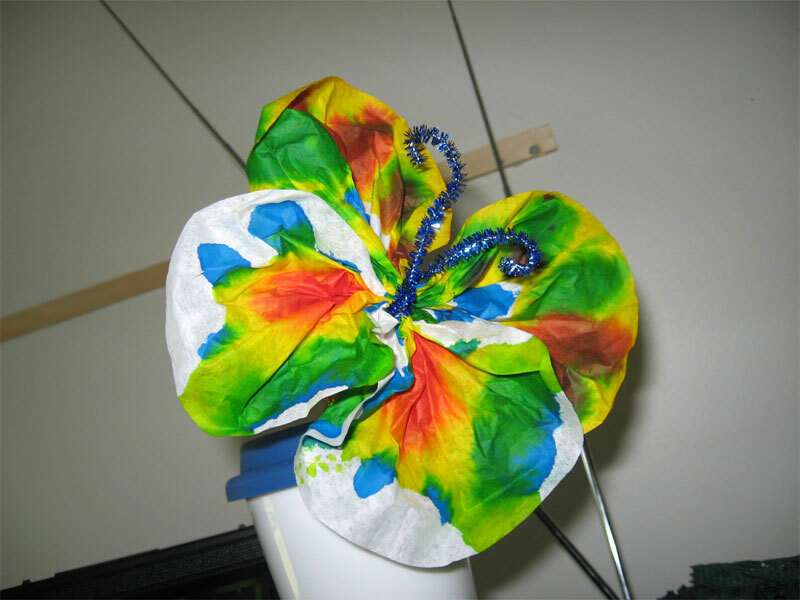 This craft uses the TP rolls intact with wings and antenna to make these butterflies. The googly eyes and stick on jewels a nice touch. Same concept. Different medium. These wings of these pretty butterflies are made from felt. (One of those supplies you should always have on hand when you’re crafting with kids. 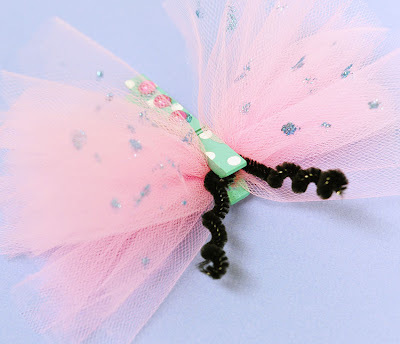 Some tulle and a clothespin (painted up pretty, of course) and some pipe cleaner antenna are all you need for these little flying creatures. Oh, the sparkles on these wings come from dots of glitter glue. The only thing I would add to this video is that with toddlers, I’d probably use Elmer’s glue instead of a hot glue gun. 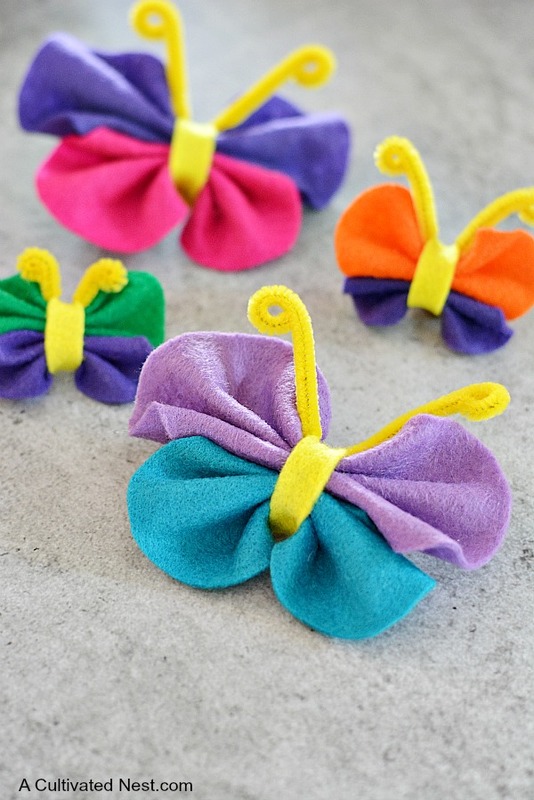 You can even youse these butterfly crafts for toddlers to start teaching them their alphabet. See what you can make with some puffy paint and plastic bags. Pretty, pretty butterflies that you can stick to a window. Got cardboard? 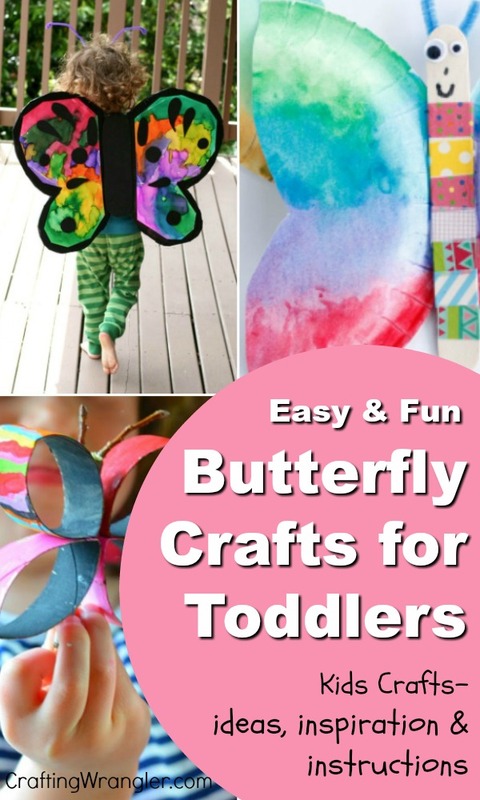 Then you can make a pair of butterfly wings for your toddler. 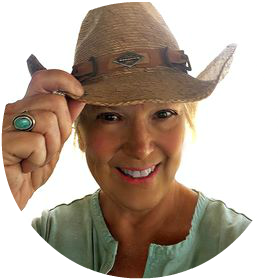 And decorating… well go as wild as you want. After a morning of making butterflies, it time for a snack. 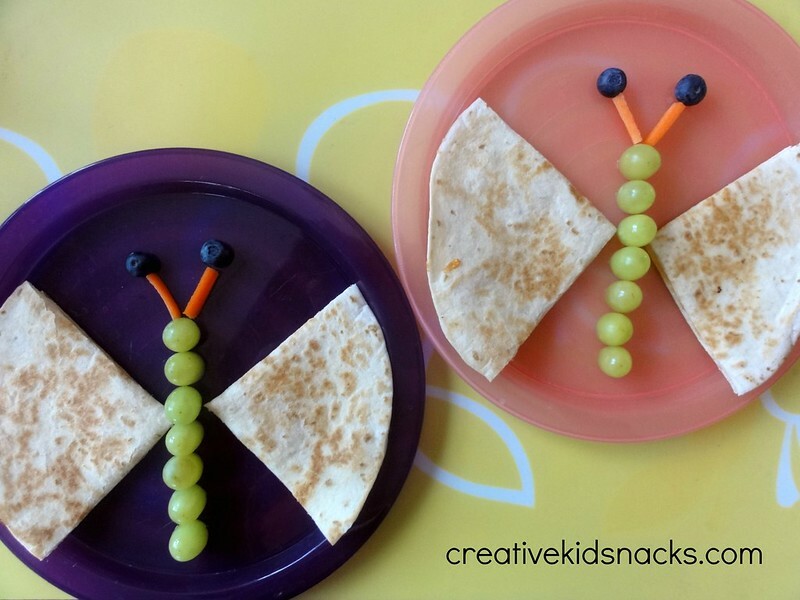 These quesadilla and fruit snacks are just perfect, healthy and yummy.